After years of debate, researchers finally determined that persistent depression causes brain damage, and not the other way around. Neurologists previously had hypothesized that brain damage was a predisposing factor for chronic depression, but a new study published in Molecular Psychiatry sheds a different light. The study, which consisted of 9,000 individual samples, collected from the ENIGMA group, succeeded in definitively proving a causal relationship between persistent depression and brain damage. 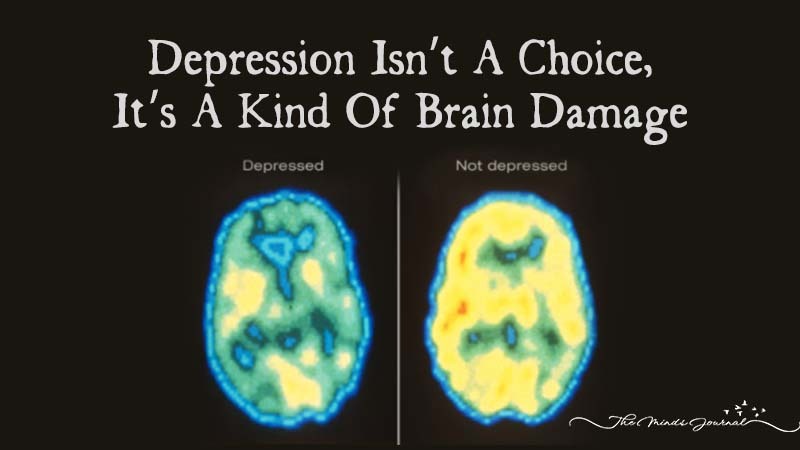 Magentic resonance images (MRIs) showed evidence of hippocampus shrinkage in 1,728 patients diagnosed with chronic depression compared to the 7,199 healthy individuals partaking in the study. Specifically, the study found that those patients diagnosed with major depressive disorder, “showed robust reductions in hippocampal volume (1.24%) in MDD patients compared with healthy controls.” You can read the full study here. The hippocampus is a small area of the brain that is located in the medial temporal lobe of the brain. It is comprised of two halves, one which resides on each hemisphere of the brain. It is generally agreed that the main functionality of the hippocampus encompasses the creation of new memories, the formation of long term memory, and spatial navigation. 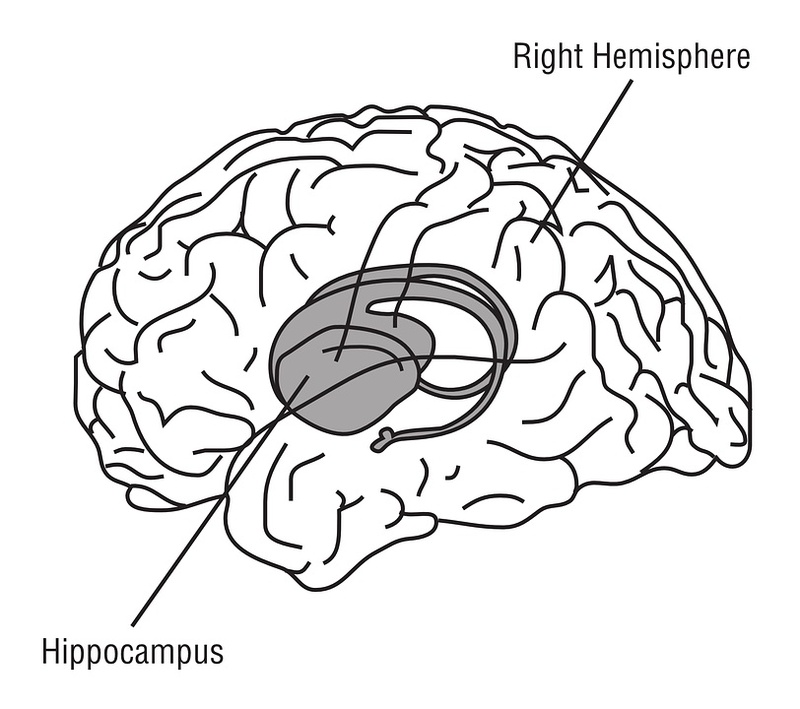 Inside the hippocampus resides the amygdala. The amygdala is a part of the brain which has previously been linked with depression. Studies in the past have suggested a direct relationship between a shrinkage in the hippocampus and depression, but the sample size of previous studies hasn’t been large enough to yield definitive results. Those who suffer from depression usually have low self esteem and lack confidence in managing their daily lives. It is common for those suffering from depression to also have a deflated ego, which simply refers to an individual’s sense of self. This could potentially affect how one forms memories, and how they view themselves in the past and thus project themselves in the future. Depression is a seemingly hopeless state of mind where one takes extremely pessimistic thought patterns as reality. The key word is “seemingly.” Someone who is depressed generally has a deflated sense of self and a faulty perception of the world around them and how they view themselves in it. I believe that the state of depression manifests through repetitively regretting your past and fearing the future. It is not a singular conscious choice. I believe that it is a consequence of repetitive thought patterns that results in a negative outlook on life and one’s self in it. A negative outlook and thought cycle only leads to more negative thoughts without some form of intervention. Sort of how like an avalanche only goes faster and gets bigger when careening down a snow-covered mountain. These statistics concerning hippocampus reduction are intriguing as one could argue that the reduction in the hippocampus parallels this change in thought pattern. Couldn’t it be harder for someone with even the slightest reduction to step out of this negative thought cycle without the full capacity of their brain? Can you please provide citations and/or links for the study or references for other materials used in this article?